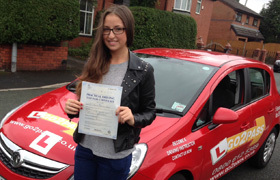 Driving Lessons in West Derby and Surrounding areas With Fully Qualified Driving Instructors. Are you Looking for driving lessons in West Derby with fully qualified male and driving instructors? If so we are your perfect choice, Looking for driving lessons can be very confusing and with so many gimmicky offers, it can be very difficult to choose. When looking for your perfect driving instructor in West Derby don’t just look for the cheapest around, look for good quality professional driving instructors, driving instructors in West Derby who you will make progress with, look for driving instructors you will get on with. Driving lessons can get daunting and learner drivers often get bored, so you need a driving instructor to have the right mix of being able to teach and a personality too, that way your lessons will be constructive and enjoyable. 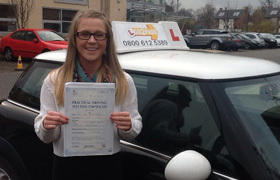 Why choose Go 2 Pass for Driving lessons In West Derby? Our driving school has many years of experience in delivering high quality driving lessons to learner drivers just like you, we teach so many learner drivers just like you every week, our reputation and service to our learner drivers is very important and our driving school and driving instructors in West derby are second to non. we take pride in our work, each and every learner driver will get a quality service. This is why our driving school has grown to become so successful, we deliver driving lessons and make sure they are of extremely high quality, something our driving instructors are proud off. 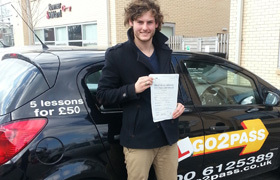 so if you want to make progress and pass your driving test in the quickest time possible we should be your first choice, call the office now and get booked in with your driving lessons today and get on the path to to your driving test success. Weekly driving tuitions and intensive driving courses in West Derby.